Silk Thread Jewellery Set with lorial and flower charms. Bangles set with kundan stone. we manufacture silk thread bangles, earrings and necklaces with good quality at low cost. The stones on the bangles were doubled secured with silk thread. 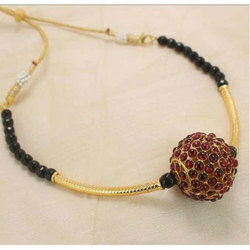 Silk thread jewelry set with chain, stud n bangles..
Sl 202 Silk Thread Necklace . colour can be customised. Prices are negotiable and depends on the design and the order value. 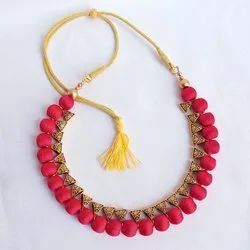 Silk Thread neckset.with jhumka pendant.available in all colours. Full set - Necklace, bangles and earrings.